Shaggy Parasol (Chlorophyllum rhacodes aka Macrolepiota rhacodes), a choice edible mushroom. 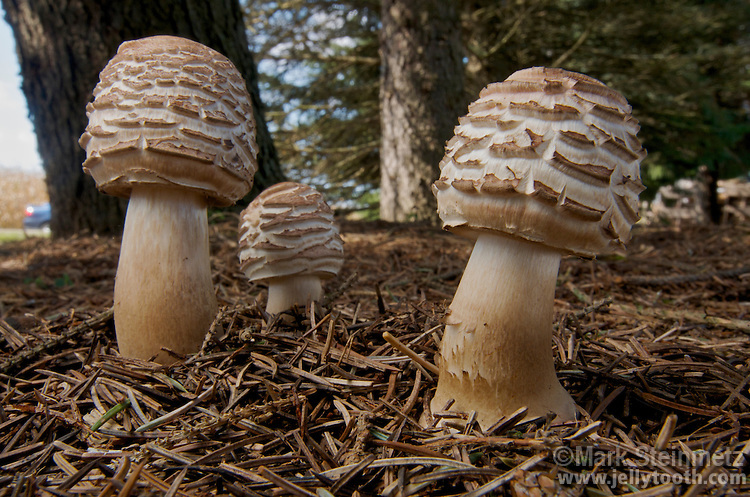 Growing under spruce. Widely distributed in North America. Knox County, Ohio, USA.